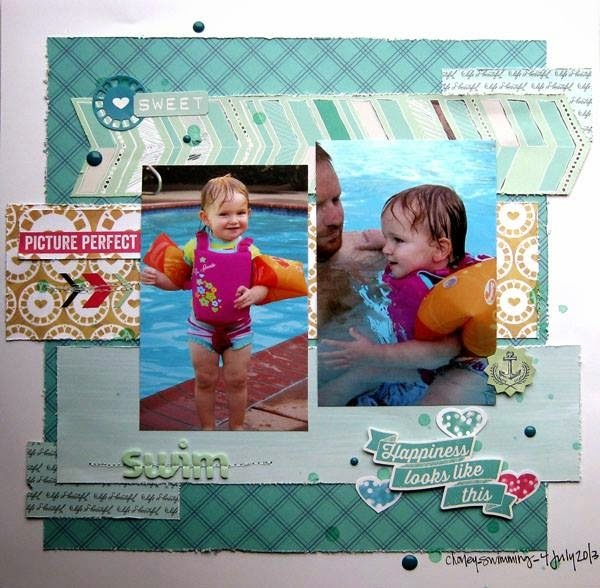 Scrap & Play : Welcome to Our First Challenge!!!! 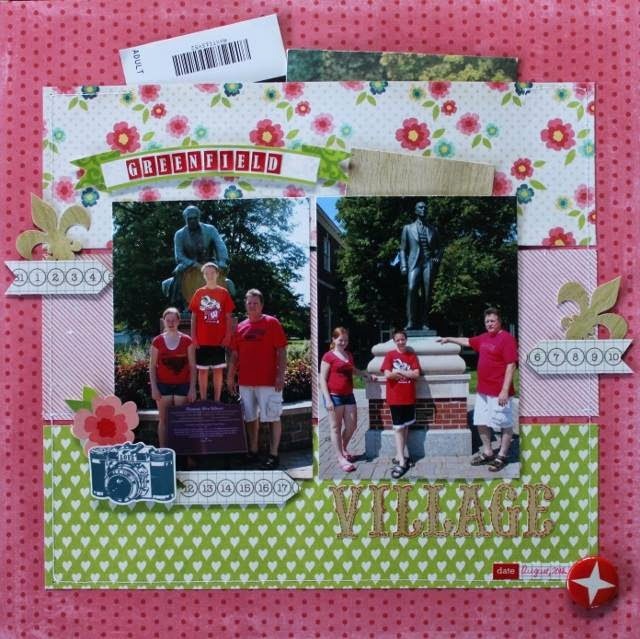 Scrapbook Generation is generously donating a $50 gift certificate to their store! The winner of this certificate will be randomly drawn (using random.org) from all of the participants from both of our May challenges!!! As if that isn't enough, they are also giving away a free e-book download of the winner's choice (excluding the giant SFS Bundle volumes 1-7) for this first challenge AND also the May 15th challenge!!!! Those winners will also be randomly drawn from all of the participants projects linked up in each challenge. Please take a moment to visit Scrapbook Generation's website and Facebook page, thanking them for sponsoring Scrap & Play! Thank you so much, Scrapbook Generation, for sponsoring Scrap & Play!!! We truly appreciate your support and generosity!! I did a blog post a couple of days ago asking for your guesses as to what you thought the first challenge would be and I wasn't surprised that the majority of you answered it correctly. 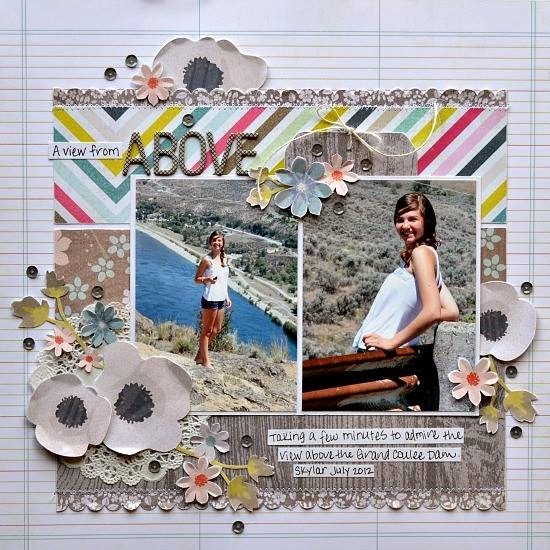 Also, if you know me, you know that this just happens to be my favorite scrapbook challenge. 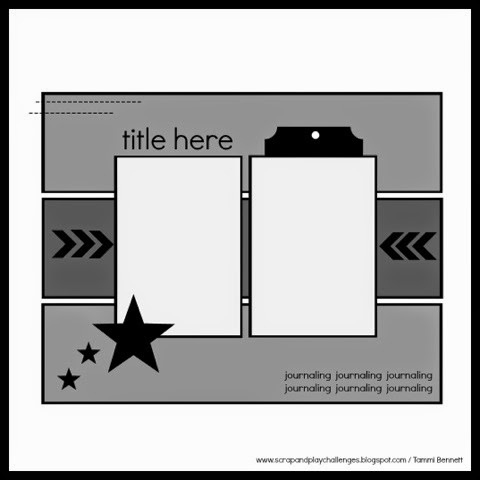 Your challenge is to create a layout based on the above sketch. You are free to flip it or flop it but we must be able to see that you were inspired by the sketch on your finished page. 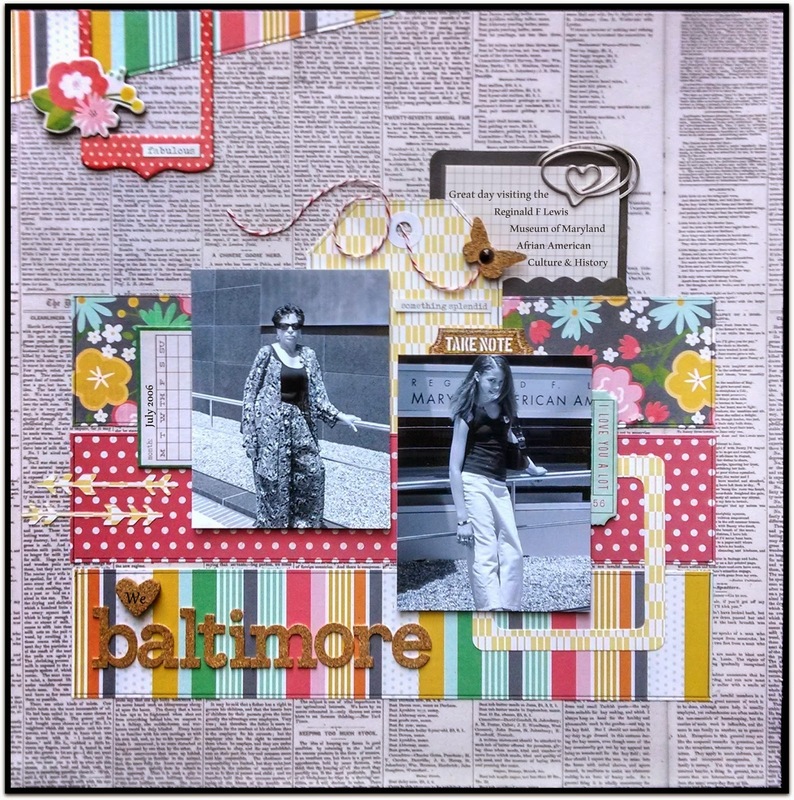 Thank you ladies, for guest designing for Scrap & Play and sharing your beautiful creations!!! Now it is your turn! Link up your pages in the inlinkz tool on the right sidebar. The challenge ends on May 28th. I can't wait to see what you create with this sketch!!!! Reminder: Scraps & Play is looking for some talented ladies to be on our design team! If you think you may be interested, please read all of the information about it on this post. The call ends May 10th. Great first challenge and reveal! Great challenge! I am definitely gonna try and make time for this! Great sketch! Awesome reveal ladies! Wow, awesome sketch and what beautiful work you ladies have done! Best of luck with this new challenge site! wonderful reveal and love seeing all the takes on the sketch!!! what a great prize too!! So mabye it's time to try it out again! Beautiful reveal and great sketch. I love the sketch, the prize is amazing and each layout is fabulous! Thanks for the challenge and the inspiration! Fabulous reveal and great sketch! What an amazing prize! Congrats on your first challenge! Amazing reveal from all the Guest Designers! :) LOVED working with the sketch. 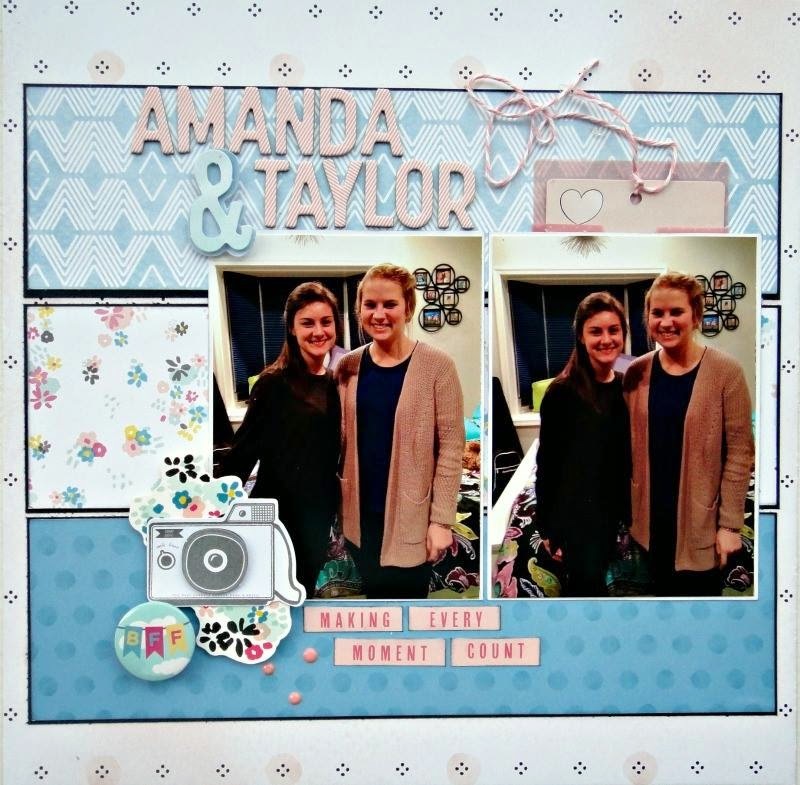 Beautiful work, guest designers! Thanks for the opportunity to be a guest designer for this new site! Great pages - and a lovely sketch! love the sketch and great inspiration! thank you to the sponsor for a fabulous prize! Loved this sketch and played along. Late on linking up! That happens to me a lot. Thanks for the inspiration.